Use to live at RAF Cranwell - Dad was a pilot. I learnt to fly gliders there! BTW is there some sort of special deal on S's in Scotland this week? The names Blinx and I'm based in Wiltshire. 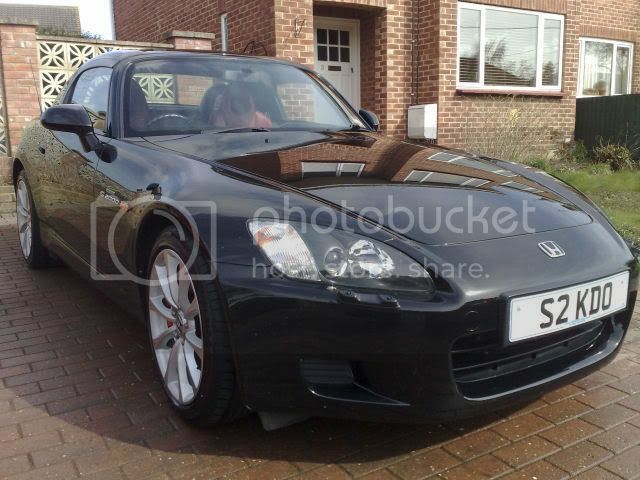 I'm a new owner of a Black S2000 MY2001 with red leather. I always wanted one of these. 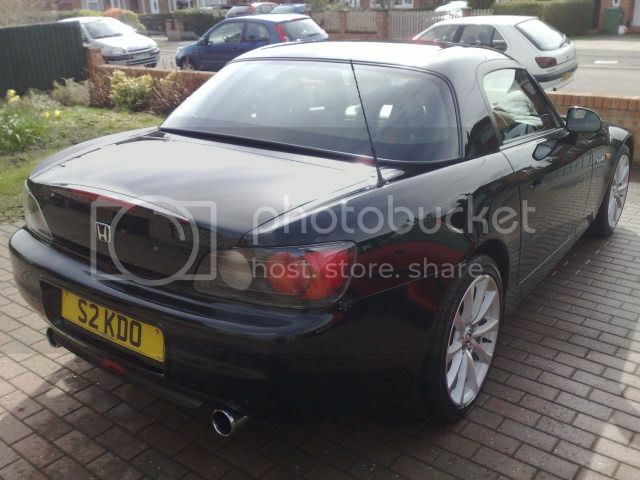 I have owned this beauty three weeks now after owning a Nissan Silvia S15. I'm really enjoying every moment of the car so far and the Revs....OMG! 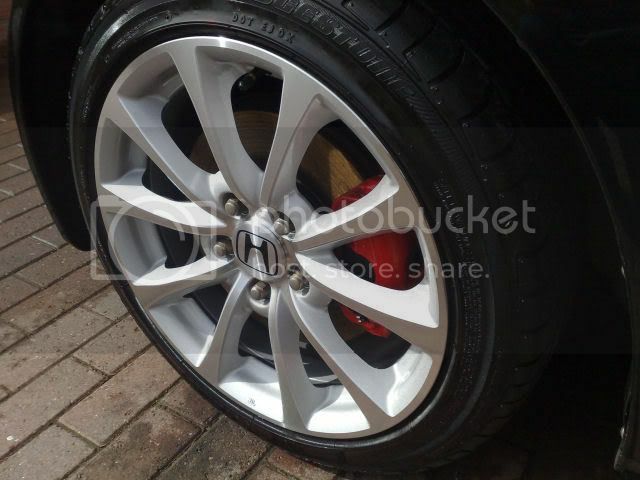 She's pretty standard at the moment apart for black powder coated OEM alloys. I have already bought a hard top and kit as well as a cover. 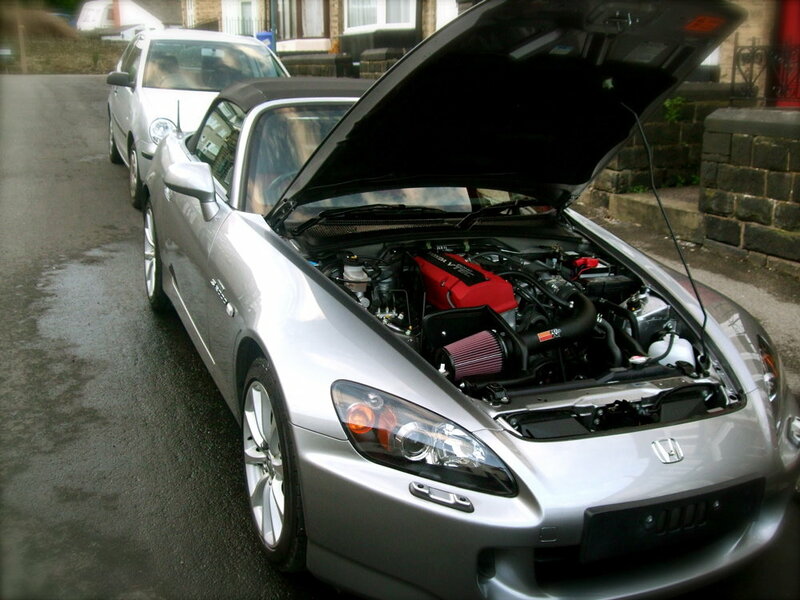 When I get the money back for the S15 I'm sure there will be more modifications to come. Its good to see that there is so much information on this forum about the car. I have spent the time so far learning about my new motor. Here are some pictures of the car and if you recognise it and know other history on it please let me know. The fire extinguisher means that it will probably be a Euro import. The exhaust doesn't look standard. Can't see it clearly, but it looks like it could be a Mugen. Not strictly a brand new newbie but have just changed my forum name from "mmjs98" to the slightly more practical, informative, and more importantly memorable "doctor matt". Went to my first meet on the 10th up in the NW and quickly realised the importance of this change whenever I was asked what my forum name was! Was tripping over my tongue on the 10th time. Bought my S2000 about a month ago, and after 25+ cars in the 12 years I've been driving can honestly say I've never had as much fun! Working and living in the Isle of Man and enjoying the de-restricted roads. 2 owners 22k - hardly warmed up! Had my S about three months now, so thought I had better get round to saying hello. When I had an MGB back in the 80s always said I would never have a Japanese sports car, just thought it was wrong. No afraid not. well not yet anyway. Have only seen a couple round this way and have not been close enough to wave.